Amidst the gorgeous 7000m peaks of Chamoli district in Uttrakhand, lies the majestic Chandrashila, a trekkable 4000m summit which can be classified as one of the best treks in Uttrakhand. 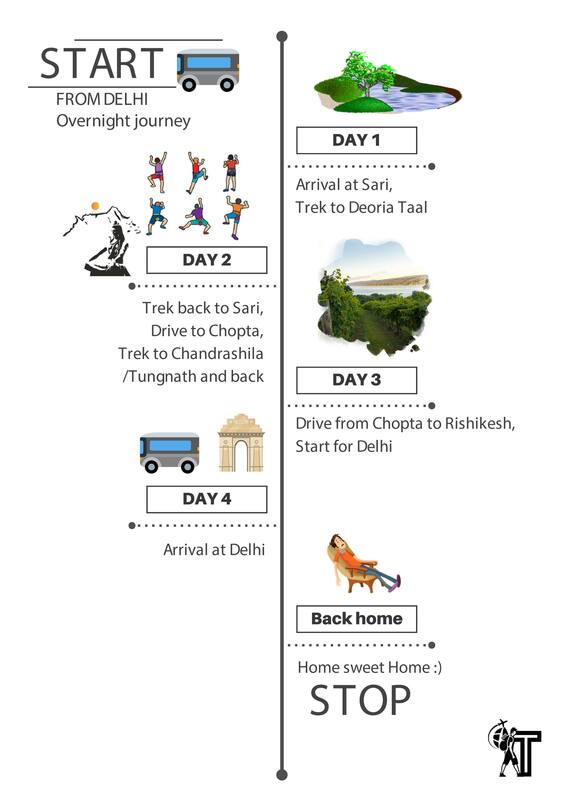 This becomes even better when the trek is extended and we get a chance to camp at one of the most beautiful lakes of Uttrakhand, known as Deoriataal. Legend has it, that it was Deoriataal where Yaksha confronted the Pandavas with his questions. Another mesmerizing fact about this trek is that you get to trek up to Tungnath which is the world’s highest Shiv temple.